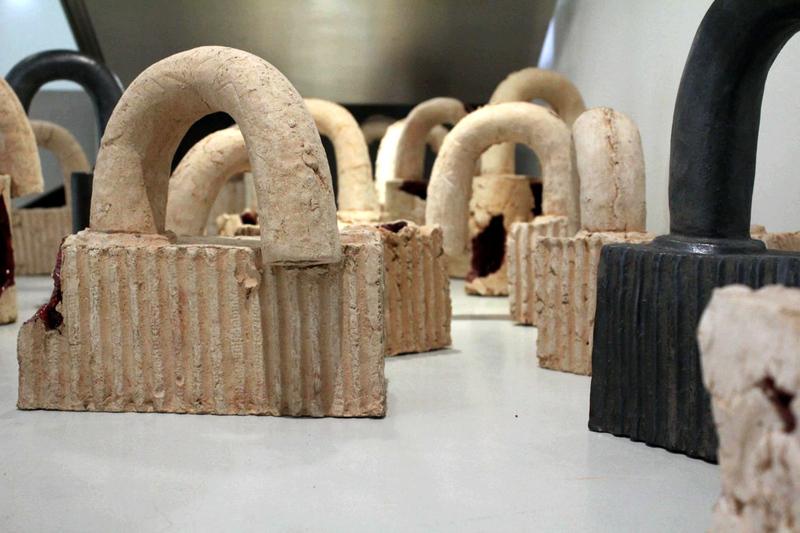 The work, created in 2003 in collaboration with the Studio Ernan Design workshop in Albisola Superiore, deals with the theme of the fragility of clay as a metaphor for human frailty. The artist himself, Ghanaian-born El Anatsui, goes into in depth about the themes and meanings of the work in an interview with the Director of Museo della Ceramica Tiziana Casapietra. A work that links the intrinsic nature of clay, which expresses all its fragilities when subjected to different stresses (vigorous manipulations and subsequent firings), to the fragility of safety, considered by the artist himself as an “extremely vulnerable basic necessity”. El Anatsui is an extremely important name for the Museum: among the many international awards received by the artist, perhaps the most important was the Venice Biennale, which in 2015 awarded him the Golden Lion Lifetime achievement award: a prize that celebrates the great international successes, but also the fundamental contribution to the growth of art in Africa and the positive influence it has had on the works of contemporary African artists. El Anatsui’s piece is composed of different locks made from clay. During the interview, the artist explains why he chose clay to talk about the topic of safety and how, 15 years later, he sees his work. It also reflects on the journey that he has undertaken over the years and how this work is configured within a process of modernization of his work, linked above all to the digital world, which he has explored in works such as “Digital River” and “Digital Waterfall”. Follow us on Facebook, Instagram and Twitter to find out what’s new at the Museum.